Forget the hole-punch display, Samsung could be gunning for a smartphone with a truly Notchless Infinity display that that incorporates a hybrid camera system that combines a sliding camera mechanism with a rotating one similar to the ambitious Oppo Find X that was launched back in 2018, at least multiple leaks point to that. 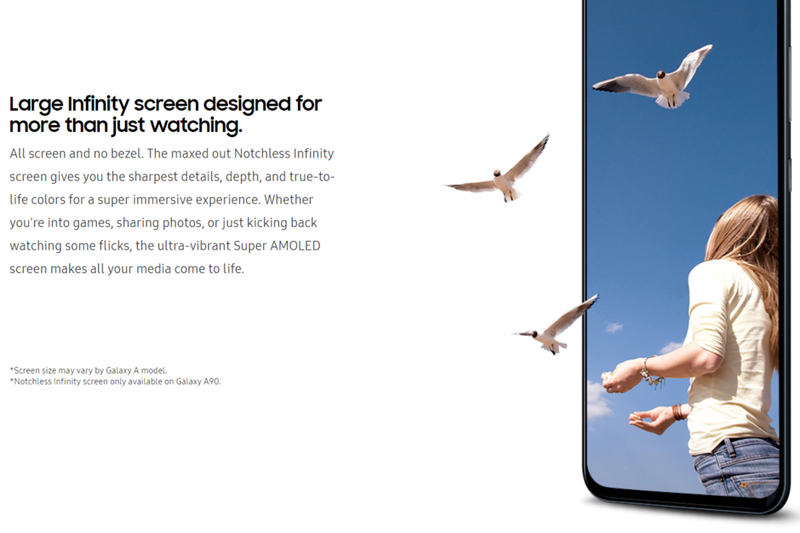 Following a tip on Samsungs official website days ago that the Galaxy A90/A80 or whatever the Korean firm decides to call that will come with a notchless Infinity display, some more details about the device just popped up. 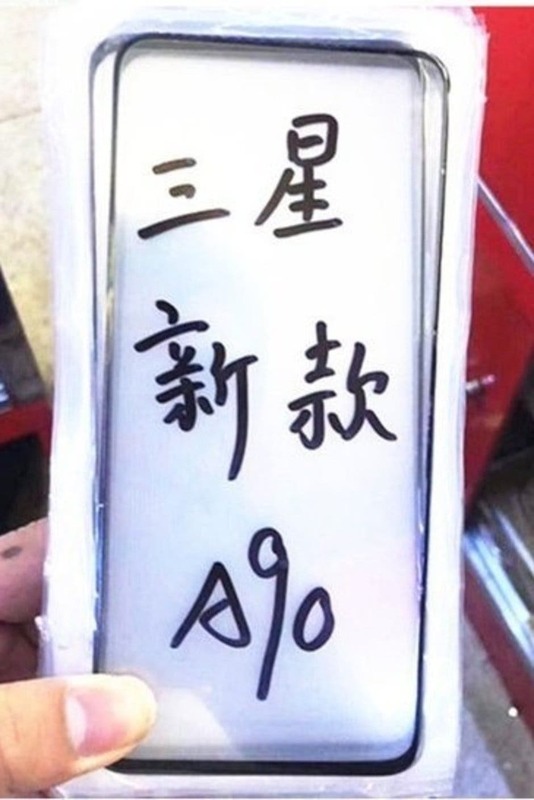 While we already know the device will get no notch whatsoever, a screen protector supposedly that f the A90 has surfaced confirming there will be no notch, with razor-thin bezels and a slightly larger chin, and if that isn’t enough to convince you, further tips from tipster Steve Hemmerstoffer alaias Onleaks corroborates earlier claims that the device actually lack the U/V notch flaunting a display about the size of the Galaxy S10 5G – a 6.73-inch display with razer-thin bezels that are just 1.2mm thick and a chin that measures in at 3.6mm. Although the Galaxy A90 from all leaks and rumors could have a pop-out camera mechanism which houses the selfie cameras as one of its major selling points, Samsung itself already hinted the device will be no slouch when it comes to hardware, with some speculating it could arrive with a yet-to-be-announced Snapdragon 700-series chip currently referred to as the ‘Snapdragon 7150, though others are of the view Samsung could opt for the SD 855 SoC that powers the Galaxy S10e. Little else is known about the device at the moment, however, we will get you more updates as they surface in the days leading to the April 10 Galaxy launch event.